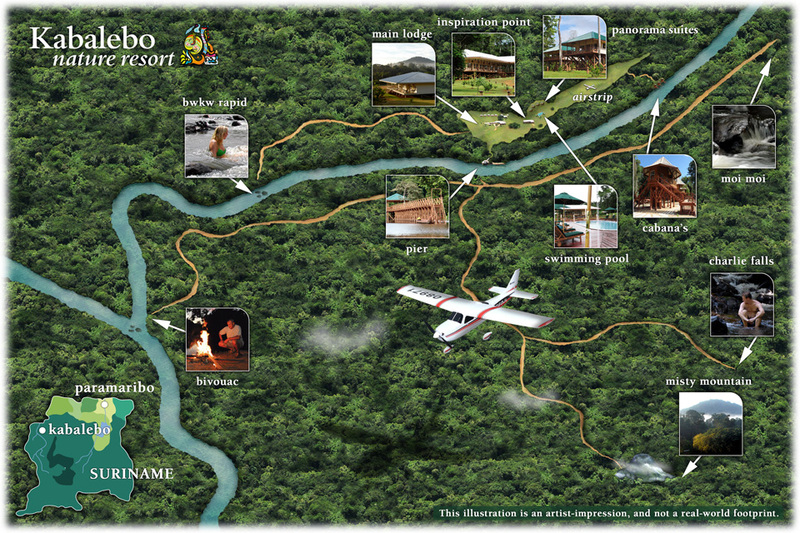 Kabalebo Nature Resort is a 3.5-star resort that is situated on the Kabalebo River in the western region of Suriname, and 150 miles from the nearest road or village. This intriguing Amazon outpost is efficiently run and guided by descendants of the original Amerindian and African Maroons. Kabalebo Nature Resort is a dazzling nature resort situated in the pristine uninhabited Amazon jungle in the western part of Suriname. The precise spot can be narrowed down to the area of the Bakhuys Mountain at the Kabalebo River. The name “Kabalebo” in the language of the Caraib Amerindians means, “arch in the river”. The only way to travel to the resort is by airplane. The airstrip is situated next to the resort and was built in the 60’s of the last century during Operation Grasshopper, which was to open the doors to the interior in order to survey the natural resources and to lay the foundation for further development. 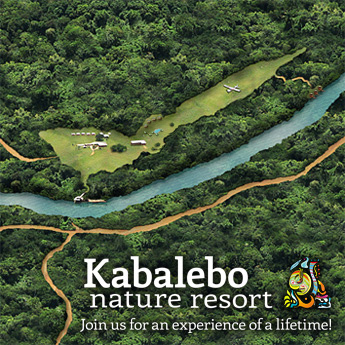 The owner of Kabalebo Nature Resort, Karel Dawson, started visiting this area in 1986; initially for fishing purposes. The first flight brought Karel and his friends to an airstrip heavily overgrown with grass. The sharp edge of the propeller was used to carve out a small path to the arrival station. Having landed safely their first activity was to widen the small path with machetes in order to allow a safe take off. This beautiful lot of uninhabited jungle made such an impression on Karel that it led him to share this experience with others. Motivated by the success Karel continues his efforts and the resort now comprises six guest-accommodations.